The weather is getting chilly and the trees are bright with autumnal glory. 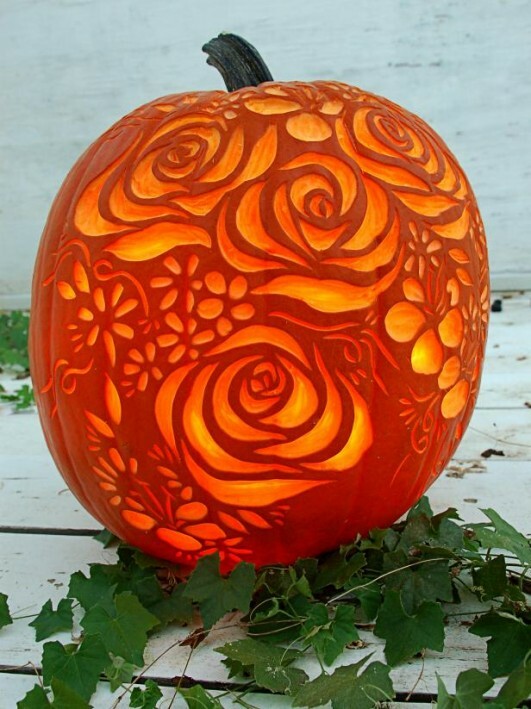 Spooky, silly, beautiful…how will your Jack-o’-Lantern turn out this year? 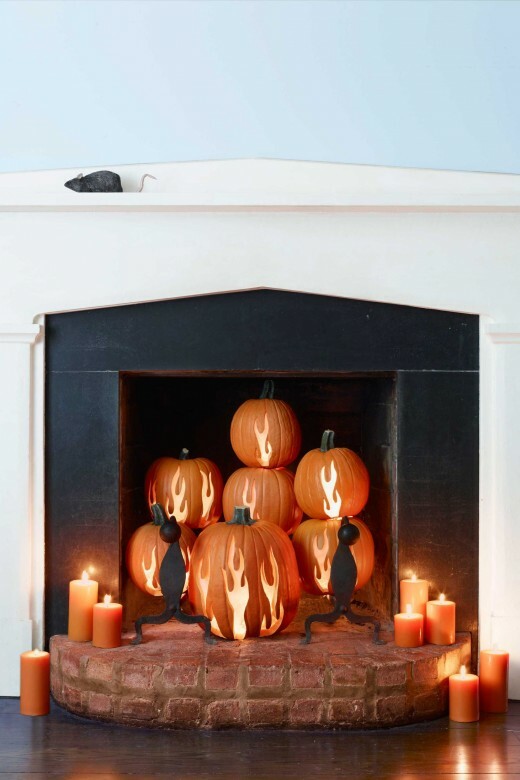 To give you some inspiration—and help—in carving your pumpkin, I offer up some tips and tricks for spicing up your front porch this Halloween. Don’t forget, too, that you and the whole family can join us on Saturday, October 27 at the Grange Theatre for creative pumpkin carving, treats, and Halloween movies : costumes encouraged! 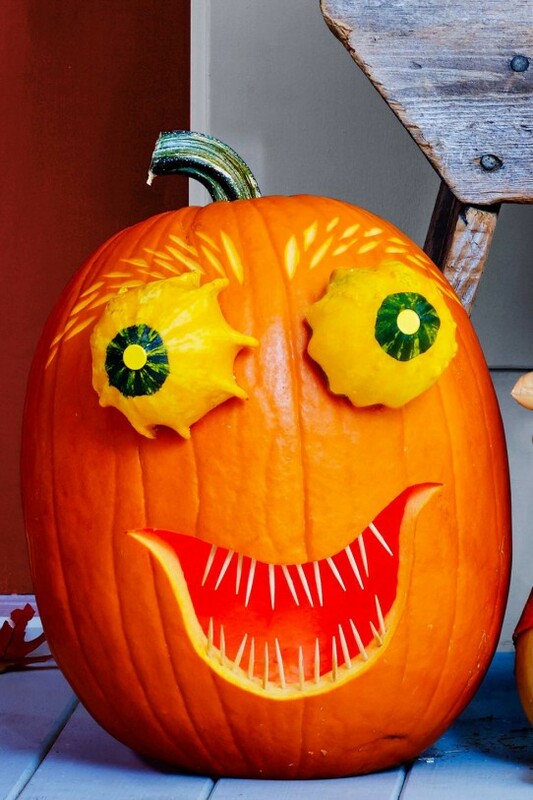 Now, here are some pointers from the pros on how to get great results and make your Jack-o’-Lanterns last. 1. Pick out a pumpkin with a stem. The greener the stem, the fresher the pumpkin. 2. Consider an oddly-shaped pumpkin. Some of those stranger-looking fruits inspire the most fantastic designs. 3. Create a plan. 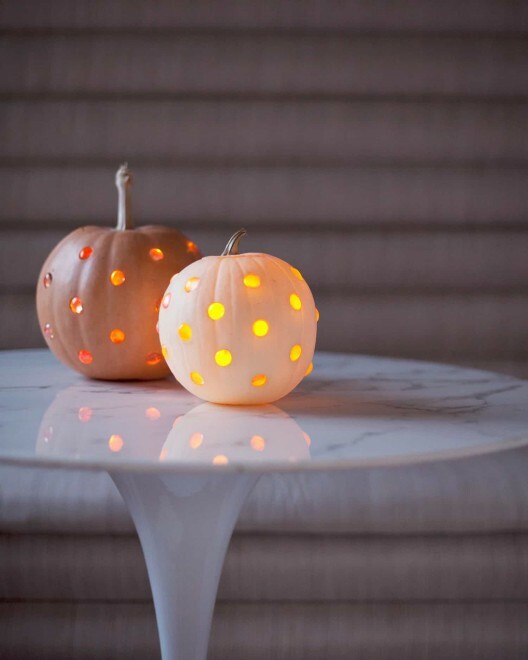 Search for ideas online or in books, sketch your ideas onto paper, and then draw directly onto your pumpkin with a washable marker before even reaching for a knife. 4. 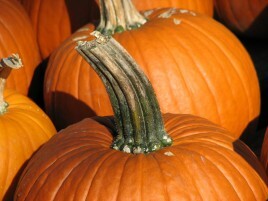 Don’t carve your pumpkin too soon! 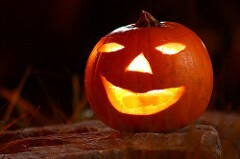 Everyone might be eager to see that cute little face all lit up, but the longer you wait to carve, the better. 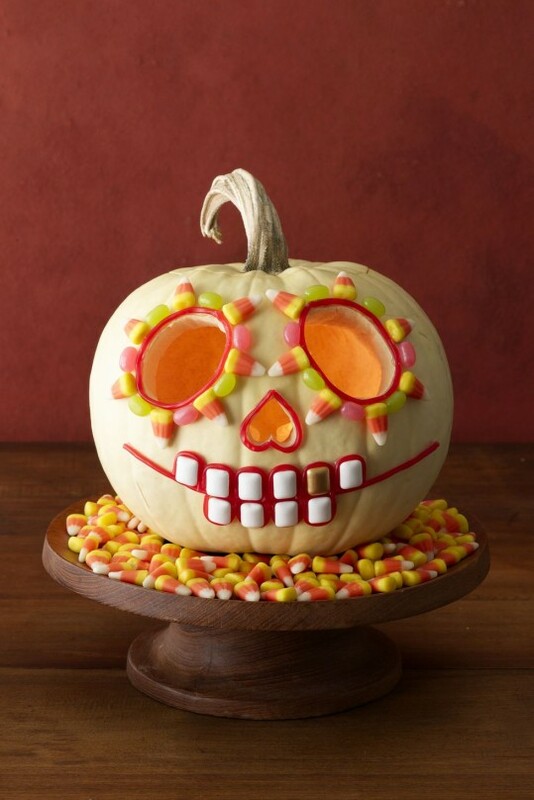 Pumpkins can last a long time when left alone, so hold off on temptation and only carve your pumpkin about 24 hours before you want to display. 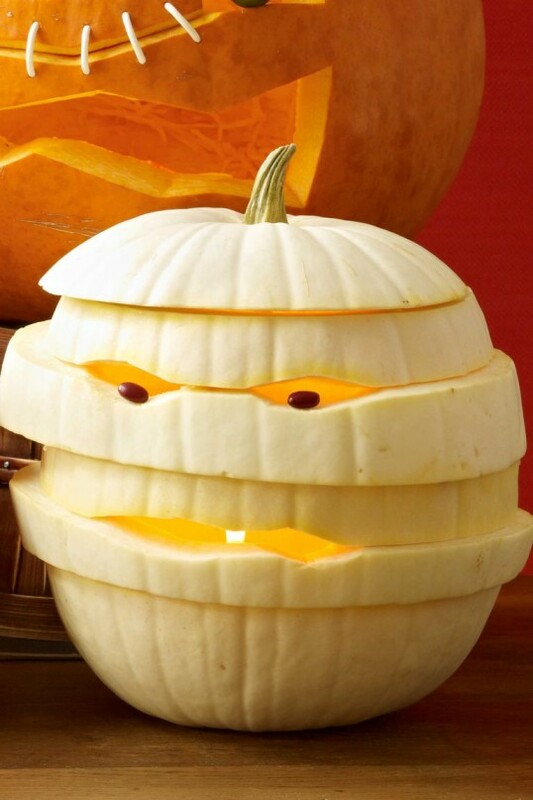 Pumpkins start to decay once you cut into them. 6. 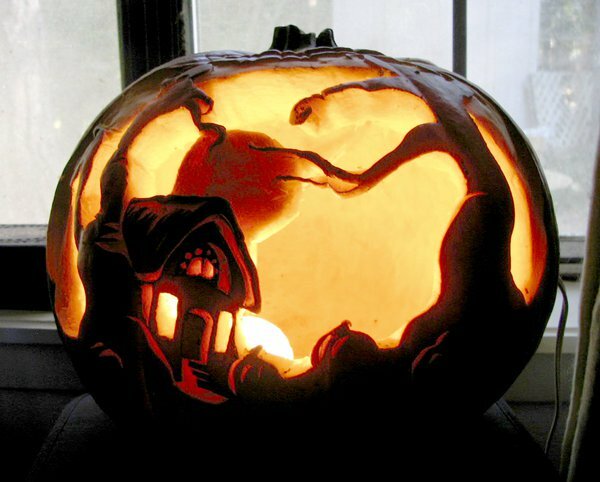 Think about leaving the top on for a longer-lasting Jack-o’-Lantern. Cut a hole in the back of the pumpkin and leave the stem attached since the stem continues to supply the pumpkin with nutrition and water even after harvested. If you cut off the bottom, be prepared for a gooey mess! 8. Avoid candles. 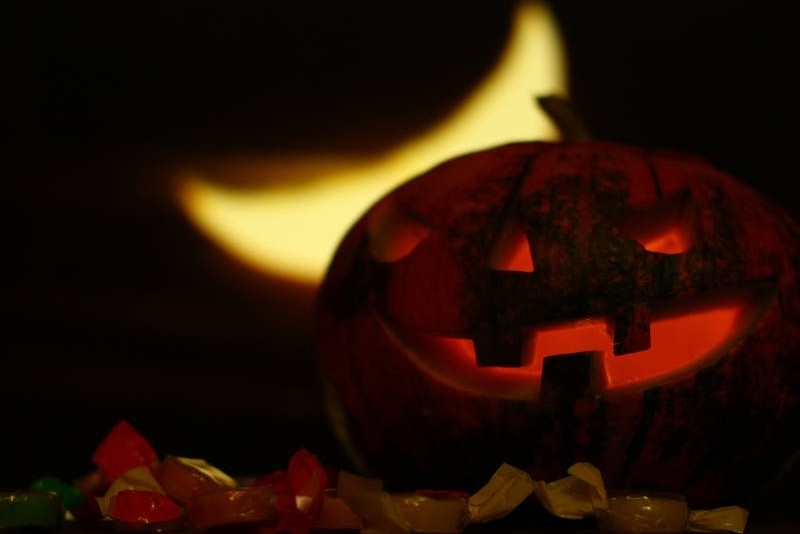 Traditionalists may balk, but using LEDs or CFLs will keep the pumpkin from “cooking” as they give off no heat. 9. Keep it cool. After carved, you can store your pumpkin in the fridge or in a cool mudroom when it’s not on display to help it last longer. 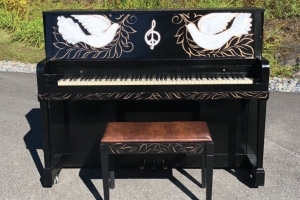 Now that you have the basics from the experts, check out these great ideas for creating your own masterpieces. Just click on the photos for links to the instructions. 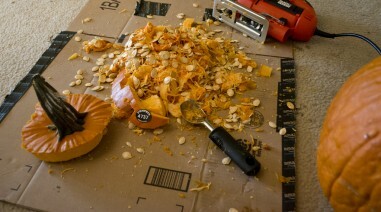 And for me, pumpkin carving just wouldn't be the same without toasting a batch of delicious pumpkin seeds. I separate them from the fibers, rinse them in a colander, spread them on a cookie sheet, sprinkle them with sea salt, and toast them in the oven until a crispy light brown. But this curried pumpkin seed recipe looks amazing: Curry-Roasted Pumpkin Seeds.